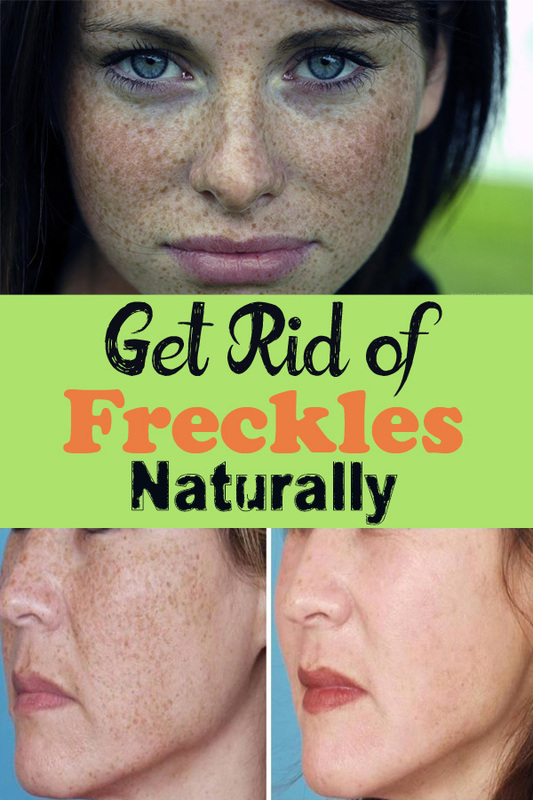 Freckles don’t endanger your skin health. They are caused by an abnormal pigmentation of the basal epidermis cells. These cells are filled with the skin pigment known as melanin. However, inside the skin there are a number of specialized cells called melanoblasts that produce the pigment. Lemon Juice. The lemon citric acid is great for alleviating freckles and also vitamin C helps skin regeneration. There are several ways that you can use lemon to combat freckles. Wipe freckled skin with a slice of lemon, without rubbing or applying pressure on it; you may combine 4 tablespoons of lemon juice with 2 tablespoons of rose water and wipe skin with this mixture twice a day. Also you can make a facial mask to combat freckles: mix 4 tablespoons of lemon juice with half a teaspoon of wheat bran and a teaspoon of yeast. Apply it on your face and leave it for at least 25 minutes. Onion Juice. Mix 3 tablespoons of onion juice with 1 tablespoon of apple cider vinegar or orange juice. Apply the mixture using a cotton pad only sun spots. The acids of the onion juice and apple cider vinegar will discolor the stains and uniform skin tone. Honey and redcurrants mask. Mash a few grains of red currant and mix it with a teaspoon of honey. Apply the mask all over the skin, including on sun spots, and leave it on for 20 minutes. Rinse with warm water. Parsley infusion. Chop the parsley leaves and put them in a cup. Fill the container with boiling water and wait until cool. Use the infusion two times a day to wipe your skin and you’ll get rid of freckles and sun spots. Olive oil. If your skin is dry and sensitive, you can remove stains and hydrate your skin at the same time. Apply some olive oil mixed with a few drops of vitamin E on the affected areas every night before bed. Tomato Juice. Mix 2 tablespoons of buttermilk with 1 teaspoon of tomato juice. Dab the stains with this treatment 2 times a day until you reach the wanted result.